Like an insatiable elephant, Enyimba of Aba’s right back, Stanley Okorom will not rest until his team collects another three points in the Nigerian Professional Football League (NPFL) when they meet Wikki Tourists in Bauchi today. 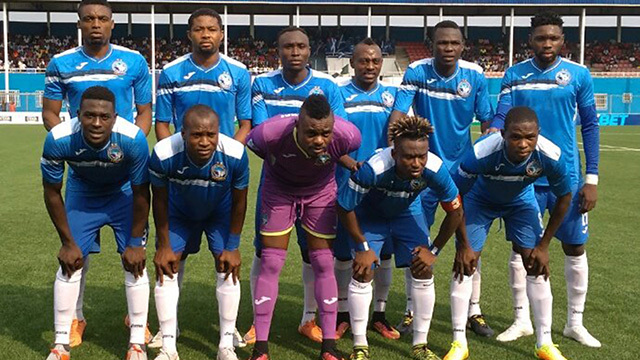 Enyimba broke their winless streak by defeating Rivers United 2-0 last weekend in Aba to climb to the fourth position on the NPFL Group A log. But the Peoples Elephant have not recorded any away point in their five matches so far, and that is the situation Okorom wants to correct today. He told Enyimba media, “Our last game against Rivers United came with so much pressure because we were on a poor run. It is easier when you come into a match without that kind of pressure, that is why I appreciate the fans for their support.